Hälssen & Lyon offers fruit and herbal teas. 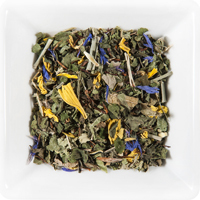 It also offers a variety of conventional as well as unusual qualities of mono components to mixtures of fruits, herbs and flowers such as peppermint, chamomile, hibiscus, rose hips, linden blossom, fennel, lemon balm etc. It can to support a healthy diet tea blend as vitamins and calcium are added. Contact us for more information.